It was never a smoothie. Some of us grew up buying Yakult from faithfully consistent Yakult vendors, while others may only know it as that curious pop phenomenon spurred by a small appearance on the Netflix movie To All the Boys I've Loved Before. As many viewers were quick to note, however, that Yakult is not a "smoothie," as described in the movie. The 80s kids among us might remember it as a wonder health drink that our parents, for once, did not have to force us to take. We may not have understood the science behind it, but we just knew that it was very good for our little tummies. This TVC from 1988, uploaded by 1980s pop culture repository View on the Third, offers a more detailed explanation for the science behind the brand. Yakult was founded by a Japanese scientist, Dr. Minoru Shirota, who cultivated a special strain of Lactobacillus casei bacteria, naming it after himself. He started selling the fermented milk drink in pre-WWII Japan, calling it Yakult after jahurto, the Esperanto word for yogurt. Not only has Dr. Shirota's corporation become a global presence, but his work has also given rise to an almost cult-like reverence for the good doctor and for his philosophy of "Shirota-ism," described by the company as "preventive medicine—the idea that a healthy intestinal tract leads to a long life, and offering products at a price everyone could afford." 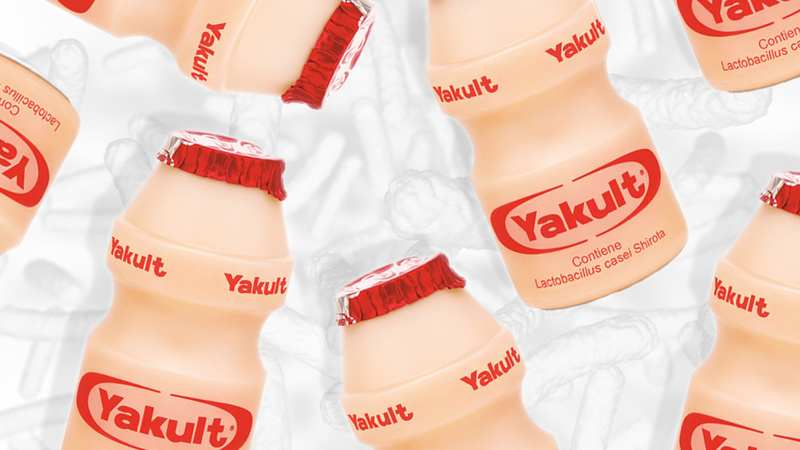 Yakult reached the Philippines in 1981—13 years before the brand made its way to its first English-speaking country, Australia, in 1994. It didn't reach the US till 1999, and even then, it was a product that mostly appealed to Asian and Hispanic consumers, so it should be no surprise that our friends in other parts of the world might still regard our red foil-capped friend as a novelty.